Going to the gym, on a daily basis, may not be possible for all. The best solution to this problem is to make your very own home gym. This will help you save your money on fitness club memberships and also save you from the trouble of trying to squeeze in some time to go to the gym every day. Home gyms may sound simple, but in reality it is not. You need to buy the right type of workout machines and also make your room as comfortable and lighted as possible. Check out these resources for the best treadmill 2018 and the best rowing machine 2018. In order to find your home gym as appealing as any fitness club in town, you need to take the right steps in using proper lights for your gym room. Here are some tips to help you with such matters. Natural Light Is Always Beautiful: The best type of lighting for your own home gym is natural lights. According to several studies, natural light can make you feel more active and alert. It can create a refreshing and energizing ambiance in your gym room. It is also needless to say that natural light will help save your electricity bill. There may be times when you may have to work out after dark or your gym room may not have proper windows to let in natural light. In such cases, the best solution is to opt for a light, which has a color temperature of above 5000K. Using a LED or a CFL light with such a color temperature will also help you stay energized. Exercising in a room which is scantily lit will make you depressed very easily. Always ensure that the light in your home gym is evenly spread so that you do not find shadows in any corner of the room. Many people prefer to have a cool and calm environment when it comes to low-key workouts. For such scenarios, the best solution is to have a light dimmer switch in the gym room. You may keep the lights to their maximum limits when you are into heavy workouts and dim the lights when you want to do light exercises. 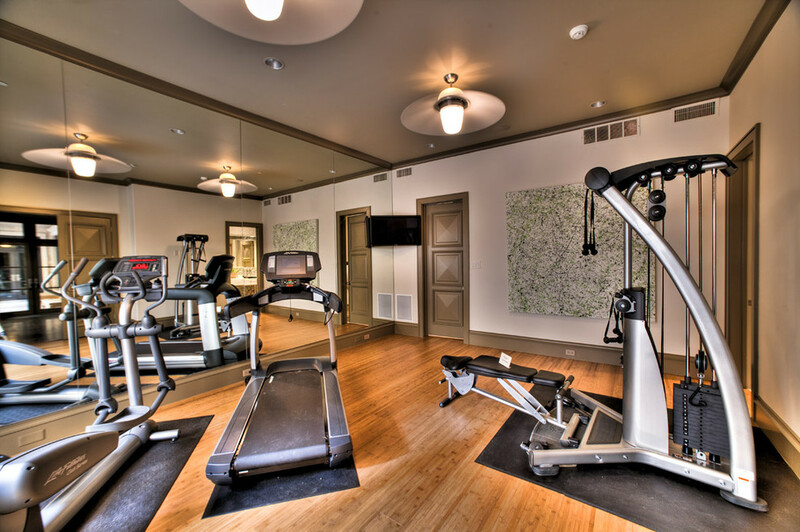 When it comes to choosing suitable lights for your home gym, the decision is completely based upon your fancy. You may also check out videos or photos to get some ideas in this matter and to get a proper workout at home.